If you need to edit the content of some PDF document which cannot be freely printed, copied or modified, how to do? Do you know which kind of application you need to use? Here, the application to be introduced in this article with the name of PDF Password Cracker will help you resolve this kind of problem perfectly. 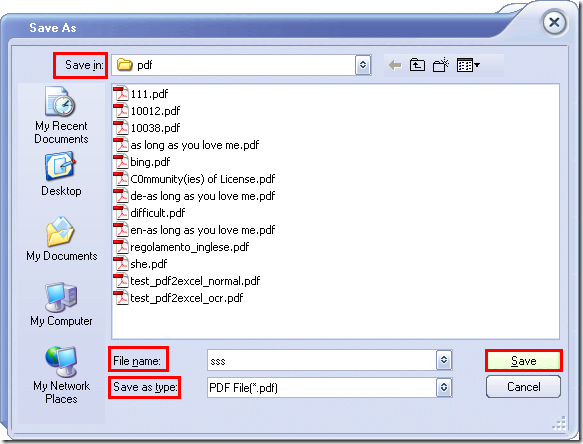 If you have the right, you can use PDF Password Cracker to remove PDF password (owner password) to easily edit PDF document. PDF Password Cracker is an utility to remove PDF security in case of you forgetting PDF owner password. It supports 40-bit RC4 decryption, 128-bit RC4 decryption and AES decryption. Please click here to download PDF Password Cracker and install on your computer by following the setup wizard. When you open the application, you will see an interface like the one shown in Figure 1. Please click Open PDF (s) button to open file picker window in which you can choose PDF file. 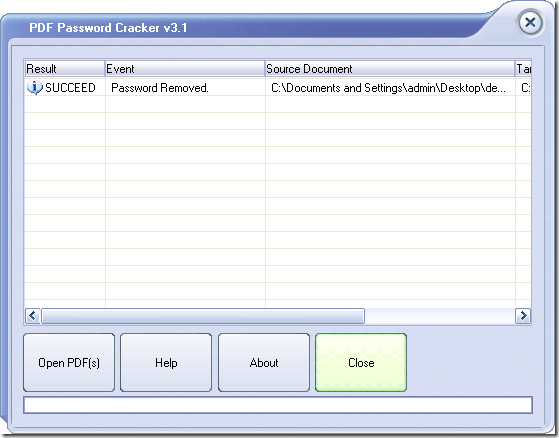 PDF Password Cracker also supports drag and drop operations, you can drag the document which needs to remove PDF password and drop it (them) in the application. Then a window for saving target file will pop up and you need to choose the output location, input file name respectively in Save in spin box, File name spin box and then click Save button to start to remove PDF security. Please see Figure 2. Instantly, with an amazing speed, PDF Password Cracker will help you remove PDF password and supplies a success information in the file list of program. Please see it in Figure 3. If you input an open password protected PDF document, a small window will come out to remind you to input the document open password. If you input a PDF without owner password, an error information will show in file list at once.